We are super excited to introduce you to our newest campaign type, Spin to Win. The spin to win campaign lets visitors to your site enter their email for a chance to win awesome discounts and prizes once they reach your site. Site visitors love it because it’s a highly engaging way to get a discount - and every spin is a winner. 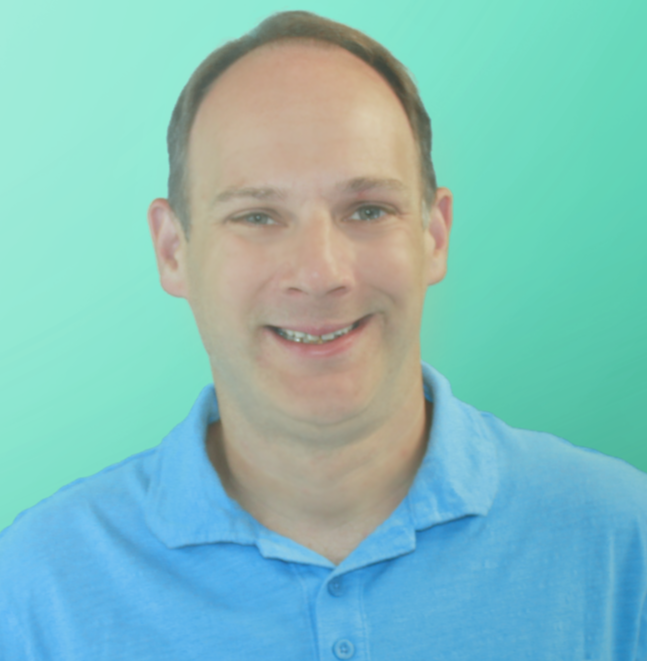 You’ll love it because it converts at a really high rate, is completely customizable, and the discounts and likelihood of winning are 100% in your control. It’s literally a win-win proposition. Spin to Win is included in each of our plans so you can use it completely free starting today. When you click "new campaign" just choose the "Build Your Own" and then in the Design step choose "Spin to Win" as your display type. 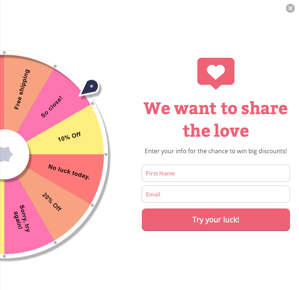 Using whatever targeting criteria you would like (e.g., page url, device type, session history and more), visitors to your site are asked to enter their email address for a chance to spin the wheel to win one of 12 prizes. Whichever slice of the wheel they land on displays a coupon code on the thank you page that they can use in your online store. From your perspective, customizing the wheel is simple. Each wheel has up to 6 winning spaces, each of which can contain a different prize. Choose the text for each slice on the wheel including the winning and losing slices. Determine the offer and offer code for each of the winning slices from any of the coupons you have created in your account. Select the 4 colors to be used on your wheel. Decide how often you want each winning slice to come up. Change the text and design of the tab and form required to spin the wheel. Edit your thank you page. See Spin to Win Display Type in Action. Click on the wheel tab at the bottom right for the chance get a discount on your Privy subscription and other awesome prizes. Want some inspiration? 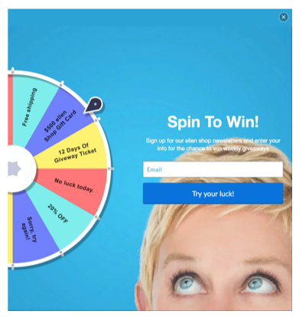 See some featured Privy customers Spin to Win Examples.